Our region's largest employers trust Empowerment to manage their diverse ergonomics needs. The Empowerment Ergonomics proprietary case and data management process allows us to manage a high volume of office ergonomics evaluations for large, decentralized employers. 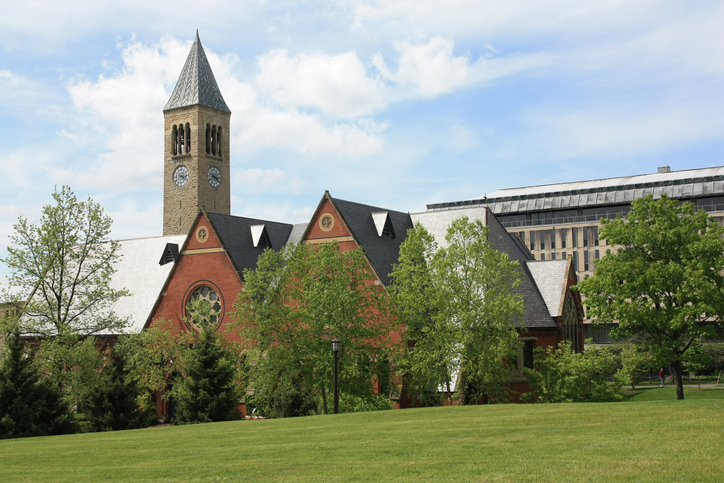 Empowerment has operated the Cornell University Musculoskeletal Injury Prevention Program since 2005. Collaborating with fitness and physical therapy professionals, Empowerment developed a comprehensive work wellness program resulting in innovative environmental improvements such as height adjustable cabinets and custom designed dead air boxes. This program was selected as a presentation topic at the 2016 National Ergonomics Conference & Expo. Ithaca Beer Company's rapid growth means that its workforce is consistently increasing production to meet demand. Empowerment has been proud to help production, service and administrative staff to perform at the highest level, ensuring their ability to provide ample supplies to New York's favorite beer! Empowerment developed a formal Transitional Work program in collaboration with Cornell University that is currently in use by their custodial and maintenance departments. Among the highlights of this program are the establishment of physical requirements assessments of transitional (light duty) tasks and the creation of a database searchable by medical requirements. Now, when an employee with a back injury has a ten pound lifting restriction, for example, the department can easily search the database to identify work that meets the restriction. This helps the department design a transitional schedule and enables the employee to get back to work sooner. Empowerment's on-going involvement with the hotel's room attendants helped The Statler develop systems for measuring performance and training employees. The success of this program led to its selection as a presentation topic at the 2013 National Ergonomics Conference & ErgoExpo. Furniture & Equipment Standards: Corning, Inc.
As an integral advisor to Corning's in-house space planning team, Empowerment works with trusted suppliers to determine the best furniture and equipment. This results in streamlined purchasing options while meeting ergonomics, design and quality standards specific to their organization. Providing the latest examples of ergonomic furniture and equipment allows clients to try before they buy, saving time and ensuring they get the right furniture from the start. Empowerment develops relationships with regional suppliers to provide "Ergo Labs" and demonstration studios. Through a participatory process, Empowerment incorporated multiple process improvements to enhance worker safety and productivity.